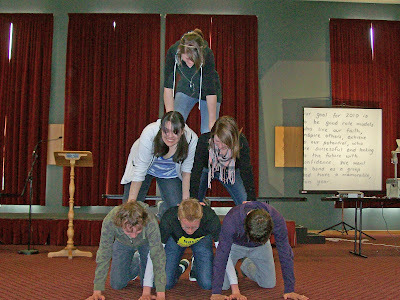 Year 12 students have spent the last two days working together, enjoying a range of challenges and focusing on leadership issues. Their retreat was coordinated by Mrs Miles and was held at the Working Men's Club. Thank you to the many staff who helped facilitate the group activities, Fr. Martin our chaplain and Vaughn Hook the diocesan youth worker.